Bold, spicy, flowery; a little dark chocolaty; a little wild. The birthplace of coffee, and indeed of humankind, Ethiopia has a reputation for producing some of the finest beans in the world. 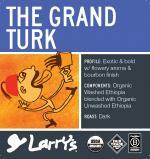 Our offering is a very clean washed coffee from just outside the town of Yirgacheffe. Intensely aromatic and super complex in the cup, it's not uncommon to pick up the scent of flowers and flavors of lemon, cherries, caramelized apples, and rich chocolate. 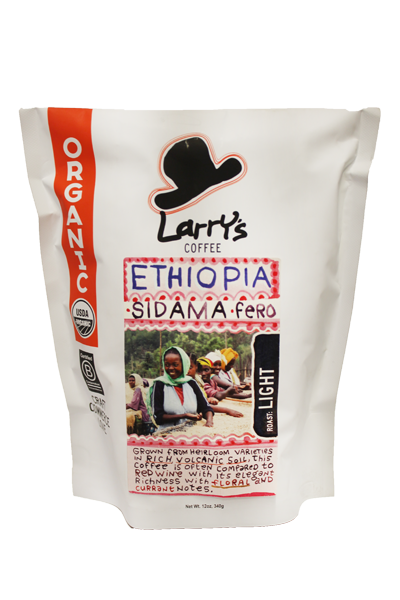 Bold and spicy-sweet with a brilliant and bright citrus acidity, our roast is light enough to allow all of the distinctive and classic characteristics of an Ethiopian Yirgacheffe coffee to shine. The medium body is pleasant on the tongue, and the aftertaste is like a fine white wine. 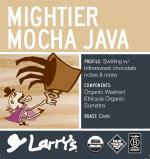 Deep and lively with chocolate notes. 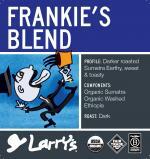 An awesomely balanced coffee.